A new interchange planned near to Pulai Jaya, which is near to my 1st purchased property in Iskandar Malaysia.A project tender will be conducted by November 2012 and let's see if there is any progress later on. My guess would be it may take 3-5 years to complete (Latest By 2017). I sincerely hope the interchange can help to improve the traffic situation at the junction of Taman Sri Pulai Perdana especially during the peak hours. We refer to our announcements dated 12 February 2009, 16 February 2009, 28 May 2009, 11 August 2009, 14 September 2009, 15 September 2009, 1 October 2009, 2 October 2009, 14 October 2009, 21 October 2009, 11 May 2010, 12 January 2011 and 12 July 2011 in relation to the Proposals. The Board of Directors of UMLand wishes to announce that ECSB had on 9 July 2012 signed a supplemental agreement with ABSB and HRSB R&M pursuant to the SPA dated 12 February 2009.
i. Balance Deposit The Balance Deposit amounting to RM22.8 million (equivalent to 10% on total consideration of RM233.0 million less RM500,000 previously paid upon executing the SPA) shall be payable by ECSB on or before 11 July 2012.
ii. Construction of Interchange ECSB will undertake the construction of the proposed "Bandar Pulai Jaya" interchange ("Interchange") at the cost and expense of ECSB provided that ECSB is entitled to deduct the costs of construction from the Balance Purchase Price of RM209.7 million. ECSB is also entitled to deduct from the Balance Purchase Price, the contribution costs to highway authorities and funding costs incurred to construct the Interchange. A tender exercise will be carried out by ECSB for the construction of the Interchange and this exercise is to be completed on or before 2 November 2012 ("Tender Exercise Period"). However, the award of the contract for the Interchange, timing of commencement and completion of construction is entirely at the discretion of ECSB. iii. Balance Purchase Price The Balance Purchase Price of RM209.7 million less the Interchange cost, contribution costs and funding costs ("Deductions") will be paid by ECSB within 24 months from the expiry of the Tender Exercise Period. The date when the Balance Purchase Price (less the Deductions) is paid in full by ECSB shall be deemed as the completion date of this SA. Save for the terms and conditions amended by the SA, the SPA shall remain in full force and effect, and in the event of any conflict, discrepancy or inconsistency between any of the provisions of the SA and any provisions of the SPA, the provisions of the SPA shall prevail to the extent of such conflict, discrepancy or inconsistency. It seems that the SPA amendment on June 2013 may cause a delay in constructing the Pulai Jaya interchange which is located at 27KM of Second Link highway. Please look at the details below which I extract from Tradewinds Corporation. We refer to our announcements dated 12 February 2009, 17 February 2009, 28 May 2009, 11 August 2009, 6 October 2009, 14 October 2009 and 21 October 2009, 11 May 2010, 12 January 2011, 12 July 2011, 9 July 2012 and 31 July 2012 in relation to the Proposals. (b) the remaining balance of the Balance Purchase Price (less the Deductions and the Redemption Sum) shall be paid to the Stakeholders as stakeholders only and shall be released by the Stakeholders in accordance to the Agreement. The date when the Balance Purchase Price (less the Deductions) is paid in full by ECSB in accordance with the above terms shall be deemed as the completion date of the Agreement (the "Completion Date"). In the event that ECSB shall fail or is unable to pay the Balance Purchase Price (less the Deductions) within the Completion Period, the Vendor hereby expressly agrees to grant to ECSB an extension of time of thirty (30) days commencing on the day immediately following the expiry of the Completion Period (the "Extended Completion Period") to pay the Balance Purchase Price (less the Deductions) provided that ECSB shall in the event that the Extended Completion Period shall apply, pay to the Vendor interest at the rate of eight per centum (8%) per annum on the Balance Purchase Price (less the Deductions) still outstanding as at the expiry of the Completion Period for the actual number of days elapsed from the date immediately following the expiry of the Completion Period until the date on which the Balance Purchase Price (less the Deductions) shall have been paid in full and the late payment interest must be paid in full at the same time as the payment of the Balance Purchase Price (less the Deductions). (ii) In the event that the Transfer in respect of the Land cannot be registered for any reason whatsoever, not occasioned by any act, default, omission or blameworthy conduct on the part of any of the parties hereto and both parties hereto have within the time stated in the Agreement done or, caused to be done all acts and things, the Deposit and all moneys paid by ECSB to the Vendor shall be refunded free of interest to ECSB by the Vendor subject to ECSB simultaneously in exchange returning or causing the return of the Documents, the Transfer, the issue document of Title of the Land together with all other relevant documents and the redelivery of vacant possession of the Land to the Vendor in its original state and condition. (iii) The Vendor and ECSB hereby agree and acknowledge that ECSB is purchasing the Land strictly on the basis that ECSB shall assume the obligations of Hartaplus R&M to construct the proposed "Bandar Pulai Jaya" interchange on KM27.00 of the Second Link Highway and the access road to the Land in accordance with the drawings and plans approved or amended by the relevant authorities (collectively, the "Interchange") at the sole costs and expense of ECSB (including the funding cost of ECSB to construct the Interchange), provided that ECSB shall be entitled to deduct Maximum Aggregate Deductions Sum from the Balance Purchase Price. (iv) ECSB shall be solely responsible for dealing with all matters pertaining to the acquisition of the land required for the construction of the Interchange including liaising directly with ABSB and the relevant authorities, as the case may be. (v) Where permissible, all approvals for the construction of the Interchange which have been obtained by Hartaplus R&M shall be transferred by Hartaplus R&M to ECSB at ECSB's cost and expense to enable ECSB to carry out the construction of the Interchange. Hartaplus R&M and ECSB shall co-operate to effect the transfer of such approvals, and shall take the necessary steps to initiate such transfer as soon as practicable after the FC Decision. ECSB shall do all that is within its power, and shall endeavour to ensure that the approvals remain in full force and effect. (vi) Hartaplus R&M shall either novate the existing contracts with the consultants for the Interchange to ECSB or shall discharge the consultants and obtain letters of discharge from them upon confirmation from ECSB. Such confirmation shall be given by ECSB to Hartaplus R&M within twenty one (21) days from the date of this SSA. All Consultants Cost shall be borne by ECSB. (vii) In the event this Agreement is terminated or rescinded before the Completion Date for any reasons whatsoever, then to the extent permissible, ECSB shall effect a transfer of all approvals for the construction of the Interchange (including approvals obtained by the ECSB, if any) in favour of Hartaplus R&M. Hartaplus R&M and ECSB shall co-operate to effect the transfer of such approvals, and shall take the necessary steps to initiate such transfer (“Transfer Approval”) within fourteen (14) days from the date of termination or rescission of this Agreement, and ECSB shall ensure that the Transfer Approval shall be effected within one (1) month from the date the steps to initiate such Transfer Approval is taken. The cost and expense of such Transfer Approval shall be borne by ECSB. In the event of default of the Transfer Approval, the moneys payable by the Vendor and the Stakeholders to ECSB by virtue of the termination or rescission of this Agreement shall not be remitted to ECSB until and unless the Transfer Approval of all the approvals for the construction of the Interchange in favour of Hartaplus R&M is effected provided that the failure of ECSB to transfer the approvals is not due to a prohibition of such Transfer Approval by the relevant authorities issuing the approvals. The Existing SPA and this SSA shall be read and construed as a single integrated document as if the above amendments, variations and modifications had been incorporated in the Existing SPA as from the date of the Existing SPA. All references to the Existing SPA in the Existing SPA itself and in any other agreements or documents executed in connection therewith or arising therefrom or related thereto shall be construed as references to the Existing SPA as so amended and modified. When I attended Sri Pulai Perdana 2 Resident Committee Meeting last weekend, Mah Sing staffs informed us that the Pulai Jaya interchange was in progress and it was slated to be completed in 3 years time. I also checked from the online forum that someone had seen that the land near to the proposed interchange had been cleared. Nonetheless, I still could not find a reliable source on the confirmed completion date. Hence, let's be patient and wait for the good news. If the Pulai Jaya interchange is completed, it would definitely shorten the traveling time for citizens living nearby to any places that linked to North South Line and / or Second Link highway and make it a better living place. The housing price would increase for sure later. The Pulai Jaya Interchange is in the progress now. Below is the photo captured last few days ago. The Pulai Jaya Interchange is in the progress now. Below is the photo captured last few days ago from Second Link highway (26KM). The Pulai Jaya Interchange is in the progress now. Below is the photo captured last few days ago from Pulai Jaya. Any news for this project? I saw no progress till now. Unfortunately No. However, I do notice that the interchange would be built at 27KM from TUAS, and there is a toll at Pulai Interchange which charge you about RM3.90 per trip for traveling from Senai to places like Bukit Indah, PTP & Nusajaya Area. Nonetheless, it may shorten the traveling hours for people who working in Senai / Kulai while living in nearby Pulai area. Is that means Pulai Jaya interchange will be cancelled and moved to other locations? Or, you mean Pulai as Pulai Jaya interchange. Thanks. Any news on the interchange from second link to Pulai Jaya? There is a row of Shop Office built by Sri Pulai Perdana 2, it is worth buying? any update? last heard was the proposal submitted for approval. The propose charge of RM3.90 seem high. May I know where did you get this info? Any link to share or find out more? The blogger Jack did mention the charge. The info told by a staff from Mah Sing Dev. I believe the charge RM3.90 applied to Lima Kedai Toll fees which is located at Pulai interchange but not proposed Pulai Jaya interchange. I am still waiting for more concrete answers/news from the relevant parties. Anyone has ever heard about the Pulai Fruit Farm? How to go there? How much the entrance fee is? Frankly speaking, the commercial activities are not that strong, that's why we still cannot see any bank setting up their branches here (e.g. SPP, SPP2, Pulai Indah. Bandar Baru Kangkar Pulai etc). The nearest shopping mall is located at Taman Universiti (about 5KMs away). Back to your question, there is no update yet. I would post update if I found any from the company website. A sign board is placed near Pulai Jaya stating "Cadangan membina jambatan keluar /masuk di KM 27 untuk Bandar Pulai Jaya". This interchange connects to plus highway. It will reduce jams and better connectivity in this area. Development will be good here in near future. Ya, it seems that Tesco already in progress in near to Macdonald, Mutiara Rini but not in SPP1. Tesco, likely to be in Pulai Hijauan. Thanks for your "tips", so far I still have no official news on Tesco opening, but really hope that there is any supermarket opening in this area. Maslee open in Taman Teratai. Ya, thanks for your news. I also notice that there is a new petrol station to be opened near to the new shop lots in Taman Teratai. Yesterday my brother shared with me that he would have a MacDonald restaurant in Kangkar Pulai area (e.g. Pulai Indah, Sri Pulai, Sri Pulai Perdana 1 & 2, Teratai, Pulai Emas, Pulai Jaya, Pulai Hijauan etc) as actually there is about 20K - 50K residents in this area. Hopefully with Pulai Jaya interchange completion, we would expect more car / resident flows in to this area. Jonagar had put up a signboard as developer on the land next to the new 7 millions mosque at Pulai Indah! That's good. I also heard there was some discussions between Pulai Indah & Setia Eco Garden developers to have an access road there so that it's easier for people from Kangkar Pulai area to commute to Second link via Pulai Indah - Setia Eco Garden. Let's see if this plan can be realized soon? Thanks for the following. Will keep you posted once I have any news to share about. Hi Jack... very useful forum for our frens who are living in pulai area... i also booked a house in pulai hijauan... hope to have an acess road to setia eco garden and most important an interchange at pulai indah... Keep updating your log bro... i'm became your blog fan... thanks.. Thanks for the complement. I hope the whole Kangkar Pulai area (from Pulai Hijauan, Pulai Indah, Pulai Utama, Sri Pulai, Sri Pulai Perdana, Sri Pulai Perdana 2, Pulai Emas, Pulai Jaya, Pulai Flora, Teratai, etc) can be developed in to a modern and urbanized area. 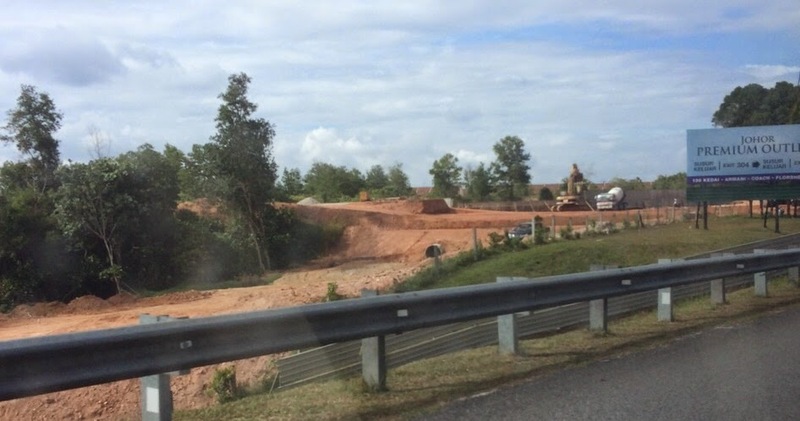 This area is nearer to the JPO / Kulai after the Pulai Jaya interchange project is completed. Pulai Jaya is projected to be a logistic hub as it is located on the junction of North South Line & Second Link. Hi Jack... Where is the interchange likely to be... i went looking for the construction of the interchange, but i couldn't found it. Any idea bro? It's inside Bandar Pulai Jaya. You may look at your right hand side after you turn into Bandar Pulai Jaya. It's about 2-3 minutes drive from the junction of Bandar Pulai Jaya / Taman Sri Pulai Perdana 2.
hi jack phang i booked house in pulai hijauan and im working in tuas singapore . can i know is it new interchange can shorten my journey to second link custom from pulai hijauan ? If you are living in Pulai Hijauan, I believe that it makes not much different if you travel via Setia Eco Garden or via Pulai Jaya, as I think the traveling time to Pulai Jaya from Pulai Hijauan may take about 5 - 10 minutes. It may however make you feel more comfortable driving in the highways instead of the small road along Ulu Choh - Setia Eco Garden though because sometime u may have to follow Lorry on that road that will cause you a little bit slow down. Song Mart is opening soon at Pulai Perdana 2. Yes， same row with their sale office! That's good to hear about this. This will definitely improve the living standard here. Recently I went to Pulai Hijauan, and keck Seng Project at Fortune Hill to look for properties investment at Kangkar pulai, I would like to get opinion, which one is much better?. I still think that it is good to buy for own living not for properties investment, as there is lack of job opportunities here except Senai industrial area. Most people will still rent properties in Zone A (Johor Bahru town) / Zone B (Nusajaya) to travel to Singapore, unlike Kangkar Pulai which is in Zone E area. It belongs to the mid term project known as NSJ-1, no news about the completion of the access to this North South highway. Alternatively, developers between tmn pulai indah & tmn setia eco garden will open an access way to link up the gap. HI Mr. Eng, Do you have any idea when will it be linked from Pulai Indah to Setia Eco Garden? I believe it may shorten the traveling time for about 5 minutes compared to existing route. I am Mr. Pay, it may take few years for this link. Unless anyone has any idea about this developer namely Jonagar Estate, who belongs to the Four Seasons property groups. Thanks for your info. I will monitor it. I bought a house in pulai indah last year and estimate will complete next year or 2016 latest. I also hope that the highway at pulai jaya can reduce the traffic congestion is Pulai teratai area. And behind pulai indah, the are lorries and road constructions lorries is doing their job, I have no idea where it will link it to ( Eco garden or 5kedai ). I plan to invest another property at this area. Now is looking for support infrastructure and road linked to the area. Thanks for your update on Pulai Indah, I believe that the next growing area for residential purpose is at Pulai / Kulai / Kempas / Masai as those area still have plenty of cheaper land for locals to stay while working in town area. May i know how long do i need from taman pulai jaya to tuas checkpoint by using the new pulai interchange ? I have no actual fact on that, but based on estimation, it may be 10 - 15 minutes faster compared to current route (via Uluchoh - Setia Eco Garden - Second Link). Pls note that there is Lima Kedai toll which charges you RM3.90 per trip. last week i went to one show unit and the developer staff said from pulai jaya to tuas only take 15-20 min to reach. Donno how truth is it. It could be achieved if and only if you speeding in the highway. If we calculate it based on theory, 27km from Malaysia Second Link Custom would be reached in 20 minutes at average speed of 81kmh or 15 minutes at 108kmh. To give a buffer on that, you should be able to reach Malaysia custom in 25 minutes if it's smooth. thank for your information. seen like pulai property worth to be invest. Currently, it may still take about 25 minutes (non peak hour before 6am) to 50 minutes (peak hour during 7am - 9am) to reach JB town. For Second link wise, I notice that there is getting more traffic lights built around Setia Eco Garden - Second Link Highway. So Pulai Jaya interchange definitely is the big catalyst to allow Pulai property to catch up with properties in other JB area. that true. thank bro...hope u keep update your blog. Eco World is now building affordable houses beside Taman Pulai Indah, near Jalan PI 13/6. Not found in any website but real scene where the parcel of land is being cleared since November 2014. The sales office is at Taman Pulai Indah namely Rinting Perwira Sdn. Bhd., project name Laman Indah 1. Any latest news about Sri Pulai Perdana 2 and Pulai Jaya. Already have Pizza Hut. Any plan want to pam station this area. Two pam stations will be built near Taman Pulai Hijauan in the future. All developers must build affordable houses, this is govt requirements. Hi guys... Any updates on pulaijaya interchange completion date? So far no news on exact completion date, but it seems that it can be completed by next year hopefully. Why notice board don't put project target COMPLETION DATE? Normally all projects must put this INFOS. this is soooo informative..thanks bro..
working in tuas and searching for a property, seems that now pulai jaya is in the list with gelang patah and skudai..
Once the pulai jaya interchange is completed, the accessibility to TUAS / Senai Airport / Kulai would be enhanced. By that time, it will only take lesser than 10 minutes to reach Johor Premium Outlet and about 15 minutes without traffic jam to Senai Airport / Aeon Bukit Indah / Aeon Kulai Jaya. I would foresee this area (North South Junction project by UMLAND) would be another hot spot in Zone E, Iskandar Malaysia. The contractor targets to complete by 2018. Funny, postponed to 2018 again? Can it be postponed to 2020 again? Malaysia private & public sector can talk one date at a time, by another time can talk another date? Malaysia become no credibility/integrity already. In front of the world, no reputations at all. No guys... i dont think that the completion will be extend until 2018... im closely monitoring the progress of this interchange since i bought a house in Pulai Hijauan...the construction is progressing fast... few days ago, i notice that the pillar to support beam in the middle of the highway almost to complete. Hi! that's great news! do you mind to share some picture to enlighten us if you go there again... :) Thanks! I guess the link will completed by next year end. This Pulai Land that bought by Iskandar Waterfront is located near to Sutera Utama which is about 13KM away from "Greater Kangkar Pulai" area. Mydin is coming up soon, next to Tesco Extra @ Mutiara Rini. A bit slow for pulai area, still no hypermarkets & commercial banks. Under contraction one Pam station at near Pulai jaya area. Any plan to hypermarket. Tesco, Econ save or others and Mc Donald / KFC. i heard that there is also a new interchange near mutiara rini/lima kedai to 2nd link highway... is it true? Hi jack, is there any planning in the future to upgrade the skudai - pekan nenas road? i believed one of contribution to traffic congestion are traffic lights.. who knows maybe jkr hv some plans to widen the existing road by adding lane or change all cross juction with trffic light to u-turn a median of road..
hi guys and mr jack im going to shift to pulai hijauan next year january..i also heard from developer huaygyang that there is road from pulai indah to connected until setia eco garden..next year developer called scientex will start build their project their project center beteween eco garden and pulai indah..Anyone know about this? I also received a same information when I bought house in pulai hijauan. But, for sure pulai indah going to be connected from back gate to somewhere since there's road construction ongoing. Hope it will be setia eco garden. If so, our property price will be competitive as setia eco garden properties price. Hope it will be done soon since we are wasting fuel and journey hour to travel via ulu choh which some more I think it was not a choice for safe drive. Eargerly looking for any updates on this connection road. Thanks buddies. May i knw the status of new highway in pulai..? Tq..
yes the site was quite no activity or any further development. anyone know what is going on? Omg friend.. are u sure bout it.. i though new interchange will complete next year.. Residents in both Taman Pulai Jaya & Taman Pulai Emas said that the interchange is done 70% & stop since then. Finally big parcel of estate being cleared next to Taman Pulai Indah, Jln PI 4/11 for new housing project & see extension of the 4 lanes high way besides the new upcoming mosque worth RM9.72 millions. Seems like redeploy of limited resources. 4 way lanes highway where its connecting ?...is it connecting road to ulu choh going gelang patah? It is potential highway inside Taman Pulai Indah whereby an upcoming mosque. It will connect to Setia Eco Gardens in future. I do not think it will be completed by this year, maybe end of next year or 2018. Basically I also do not know about any other blog. Pls share with me if you know. 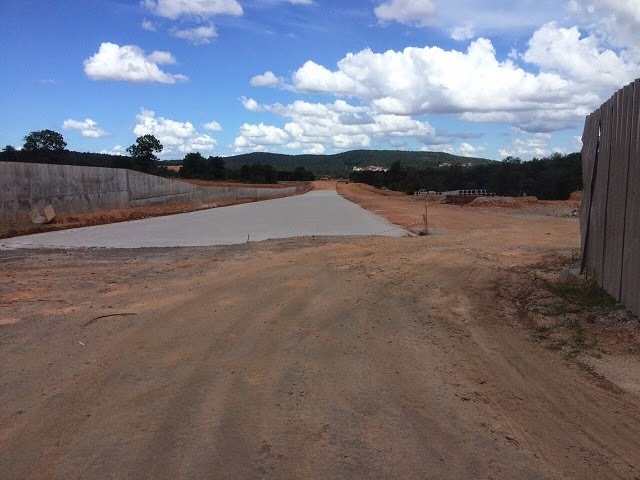 Three new projects around Pulai Indah , front part ( entrance road to Pulai indah) is Keck Seng's project. Now large piece of land is cleared. Rear part is Scientex's project, another large piece of land has cleared. West part of Pulai Indah, Ecoworld's project, to build medium low cost houses. Thank you for your sharing. What I understand is that Ecoworld will build a low-medium cost houses to fulfill its requirement to allocate certain percentage to low-medium cost houses. It seems that Kangkar Pulai is the few last land areas that developers could utilize to build affordable houses to the people. I hv check with Keck seng Dev, they wil not intend to start the front part (entrance road to pulai indah) so soon, although there are carried out the site clearance and earthwork,coz the ground need to take certain period for self settlement, instead of this they will start the pieces of land near to the SRJK india school first. Thank you for your sharing. To my understanding, Keck Seng never lack of cash flow, and they can develop the whole new Kangkar Pulai area with more than 30 years timespan, unlike some developers who like a higher turnover business model. There is good and bad. Good: No over speculation and less congestion. The air is still fresh compared to other area nearer to industrial erea. Bad: Slow development means slow population growth and infrastructure growth. So far, no any banks in this area yet. Conclusion: Do your own homework before buying a house for investment / staying. Any news regarding the new interchange at pulai jaya. Ya, I think it is faster if Pulai Indah / Pulai Hijauan residents can use this 'short cut' road to Tuas second link. I think the new interchange at Pulai Jaya will benefit Pulai Jaya / Pulai Emas / Teratai / Sri Pulai / Sri Pulai Perdana residents more. Wow splendid ! any idea when this short cut they going to finish it. mr.pang can you tell us how many minutes will take from pulai indah to eco garden if this shorten road 8km if ready to use...anyone else than mr.pang? I am not too sure, Anonymous. It will be only completed with the efforts from the developers. is it pulai jaya interchange stop progressing already? im staying near pulaijaya. now i see like the progress like stop only recently. last time got all those big big machine there...now no more...not sure why.. omg...I heard someone say its a scam...they all runaway ?...is this government project? anyone know the developer for cube 176 @ pulai jaya? it state palmfield ventures. couldnt get much information thru online. any updates about the interchange? I believe the scientex pulai to gelang patah new road will only complete earliest by 2019 as the infra cost must be distributed to the whole development. however, we have to fear not, since they had advertised it, they are obliged to complete it. Unlike the other proposed interchange in pulai jaya, where progress only happened when there is a development to be launched every five years. Too bad to those buyers who purchased the houses due to this pulai jaya interchange. I wish it could be completed soon. Actually i'm one of the buyer nearby pulai interchange. what Anonymous mentioned not really 100% right. i do monitor the progress for this project quite closely and i entered to construction side last weekend. one of the supervisor or leader was stopped me to drive further in. he mentioned this project was stopped as what anonymous mentioned and its started back as normal right now. he do mentioned target end date for this project might done by this year or 2017. There is a hope so long as this project was still in progress. Let's pray hard together so this project can be done on time. HAHHAHA. are you one of the buyer nearby the interchange? which area u buying? mind to share? hi guys good news is scientex in pulai is doing opening ceremony on 16 july..and the setia eco road is going to finish....im not sure they will open the road on the opening ceremony day but...anyone can rectify this ..mr pang is the road they gonna open? Do you mean that the work on the pulai jaya interchange has re-commenced? SPLENDID....GUYS ANYONE KNOW HOW MANY KILOMETER IS THIS ROAD FROM SETIA ECO TO PULAI INDAH ...IM EXCITED...! ..
Good info. Very interesting to read and is very informative. Thank you Mr Jack Phang. is it true that bank islam is opening soon at pulai? Hope both developer dont block each other. Benefits both ppl from each taman. Hopefully it will be completed by 2017. Checked with developer nearby, this highway estimated to complete by June/July 2017. Haha..
Great news. Waited for more than 1 year already. At Taman Teratai also want plan to do Econsave, but don't when complete. Have any plan Mcdonald or KFC near at Pulai Jaya area. Hey guys, after coming across various information. I would like to know whether is it ok to buy a house in Taman Pulai Hijauan? I am currently residing in Taman Kempas. Will i have difficulties in accessing to places,malls and banks? I am currently staying at Taman Pulai Hijauan and it is convenient to me as I travel to singapore to work daily. It takes 20 mins (if without traffic) to reach second link Tuas checkpoint from Taman Pulai Hijauan. After this highway is completed, it will be even more accessible to jPO and other areas easily. However we will be moving out end of this year for work purpose and now we are considering to sell our double terrace intermediate unit 22x70. Is there an official body we can ask, can UM Land give us a reliable answer? This is the latest update on the progress from youtube. when can complete the project. what project at Taman Teratai. AJK Surau Al Falah BPJ2 had invited YB Nusajaya Hj Zaini Abu Bakar to urge interchange can be prepared and used immediately. Tq, kindly fast complete,public can use. what the latest information.Anybody can answer. Just read an article in the website explaining the delay in the opening of the interchange. what happen the Pulai Jaya flyover, already complete 90%,still cannot open. already 10 years project. 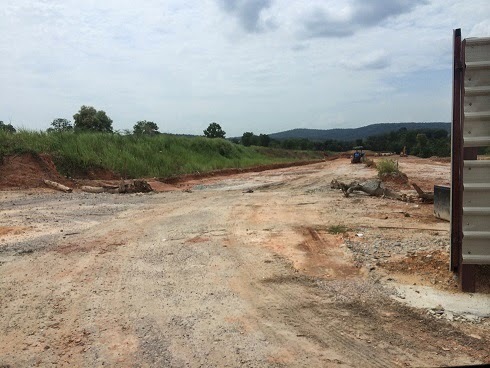 The developer's using keyword "highway" to sell the properties @ Bandar Pulai area, but aft I read this blog I understand that it's been 10 years yet the highway is not ready yet!?!? This is like stealing peoples money by giving fake promises.